2019 scholarship application period ended March 15. The ITWomen Charitable Foundation's college scholarship program supports the mission of ITWomen to increase the number of women earning information technology and engineering degrees. Female high school seniors graduating from schools in South Florida who plan to earn college degrees in Information Technology and Engineering in the STEM academic strand are eligible to apply for these four-year academic scholarships. ITWomen scholarship winners are welcomed into the ITWomen family of supporters, partners, women working across technology, and peers. Be a graduating female senior from the Tri-County South Florida area of Miami-Dade, Broward, or Palm Beach county. Accepted and/or enrolled in a post secondary institution (such as a college or university). Be pursuing a degree in the fields of Information Technology and/or Engineering. 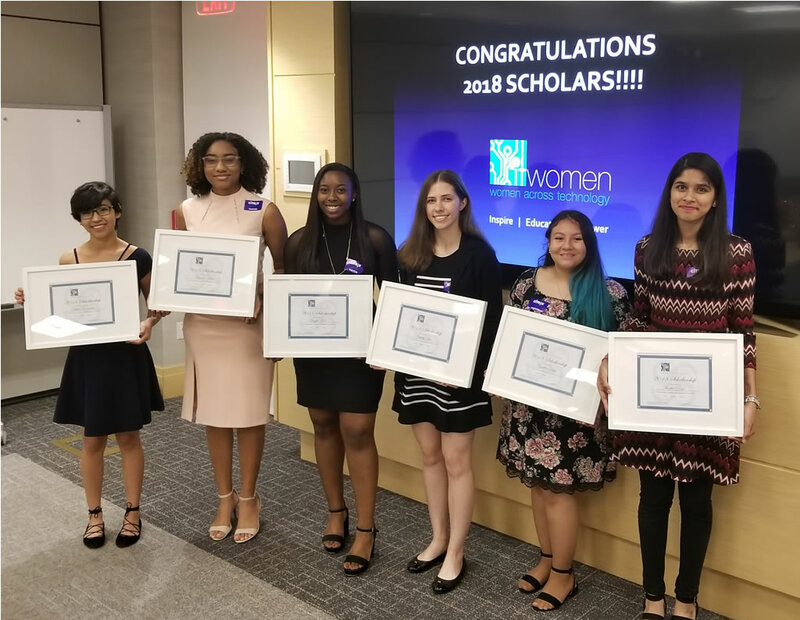 Recipients are selected by the ITWomen Scholarship Selection Committee comprised of members from local South Florida academic institutions and industries. A 250-word essay showing why the applicant is pursuing a degree in Information Technology or Engineering. An $8,000 four-year renewable scholarship ($2,000 per year). The benefits of ITWomen's Scholarship Ambassador who coordinates internships and job offers from our Partners. A Goodie Bag for college life donated by supporters. An invitation to our Scholarship Awards dinner for scholars and their parents. Each year, ITWomen Scholarships are made possible through donations to the ITWomen Charitable Foundation. If you would like to help make a significant impact on the life of young women pursuing technology as a Scholarship Partner, click below for more information. Thank You. Each scholarship winner is paired with an ITWomen Virtual Mentor. Mentors must be a female with a minimum of five years working experience. Contact Us for available opportunities. Please include your job title, company, contact phone and best time to be reached.